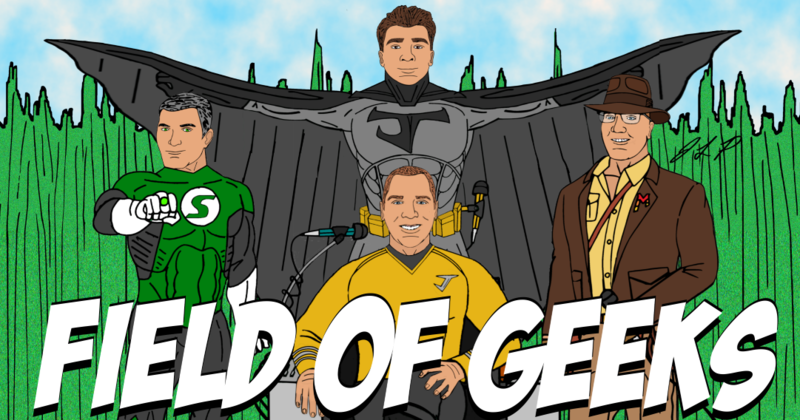 FIELD of GEEKS 113 – KRISTEN (BATGIRL) STEWART? Field of Geeks welcomes you to episode 113. Join geeks, Josh and Steve as they run through the latest in geek news. Topics discussed: Shanter Claus, Daredevil Cancellation, Rocky Retirement, Creed II spoiler-free thoughts, Batgirl casting, and more! This entry was tagged Batgirl, Christmas, Creed, Daredevil, MST3K..., Rocky. Bookmark the permalink.